Occasionally some of our users are receiving this error below. Do you know why this might be happening? It is on our Supervisor New Hire Form (has happened on both forms, I and II). The issue could be related to the enabled Send Post Data option. I would like to recommend you to disable that option. 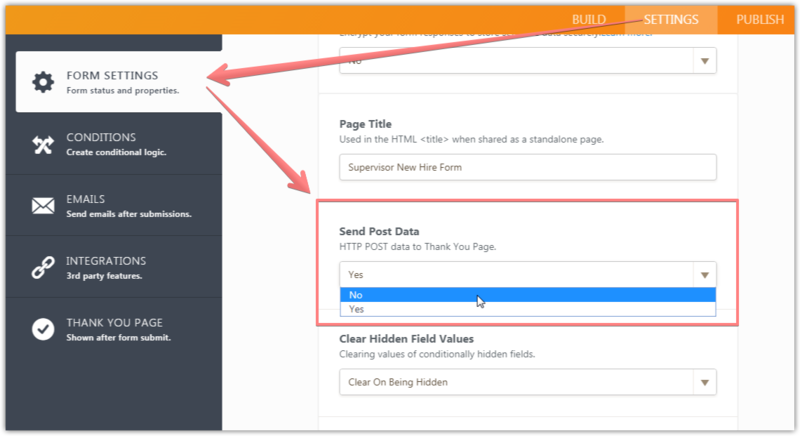 The Send Post Data option is only required when you process the post data with a custom script.